For a more complete water test and analysis, we recommend pulling proper water samples for testing at a certified laboratory. In all cases, it is paramount that water testing be performed in order to determine whether or not a water filtration system or water softening system is necessary, and if so, what type will be effective for your situation. 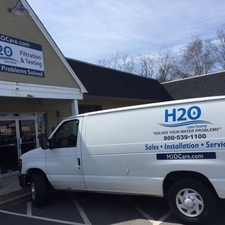 H2O Care is an established, Massachusetts full service water filtration and testing organization, originally formed in 1989, based in Middleton, MA on route 114 (259 South Main St.) with an additional office in Hudson, MA. See our written and published articles in Water Technology Magazine by going to our website, http://h2ocare.wpengine.com and going to the publications tab at the top of the home page. Contact us by email at service@h2ocare.com or by calling us at 800-539-1100.